Really excited by this. It looks a very well-designed game, with fully brick built landscapes and what seem to be very deep capabilities for building. More interesting than Dimensions for sure. Here's a link to it on Steam Early Access, since that article doesn't seem to provide one. Very cool game, and it looks like it should be what a lot of people have been clamoring for: a LEGO video game with actual building at its core. I look forward to seeing it continue to evolve over time. Did anyone buy it yet?! It is great so far from my quick go. The addition of being able to import real sets is excellent. It is also possible to interact with the real sets like riding the vehicles and cooking food. Really impressed so far but it has crashed a couple of times which is not that surprising. Oh man I am excited about for my kids! this is amazing and it works with digital designer. Which sets can you import? Any of the Modulars/'07 City lineup/Ninjago? There is only one set available to me so far, a small creator set (#31038). I can see them putting a code in the box of new sets to put in the game. Is it the 'Lego Minecraft' that everyone has been semi-expecting in the backs of their minds? From the video it looks a bit more interesting to me than Minecraft, I've tried to play Minecraft two or three times but always found it tedious and very difficult to know what to do. Watching the video the landscaping tools look to be excellent for quick building, apologies to minecraft fans if something like this exists in minecraft, but I don't think I ever managed to build anything...the crafting element was too much like hard work to me. Unfortunately I don't have a computer capable of playing it so I'll just have to wait in hopes of a console version. I really hope that TT are putting all the energy in to making this multiplayer and on all formats. Single player only will really hold it back. @Shib that's what creative mode in minecraft is for - removes all the crafting element. Although for me its the crafting element and baddies that make it more interesting. From the sounds of things I would have liked a mode somewhere in between the two. I'm not interested in hopping on the Minecraft train now though anyways so no real loss. 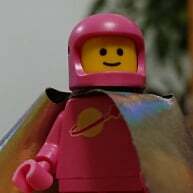 If LEGO Worlds makes it to console I'll probably get involved, to be honest though I don't feel like I'll have missed out massively if not - I don't think any digital building platform will ever feel as good as physical building to me personally. Game looks like the usual 'smash everything and get coins' scenario. But I imagine it will appeal to fans of minecraft and the other lego games. Does this mean the end for the CMF game as well? Just hope that lego sheep materialises in a real set. 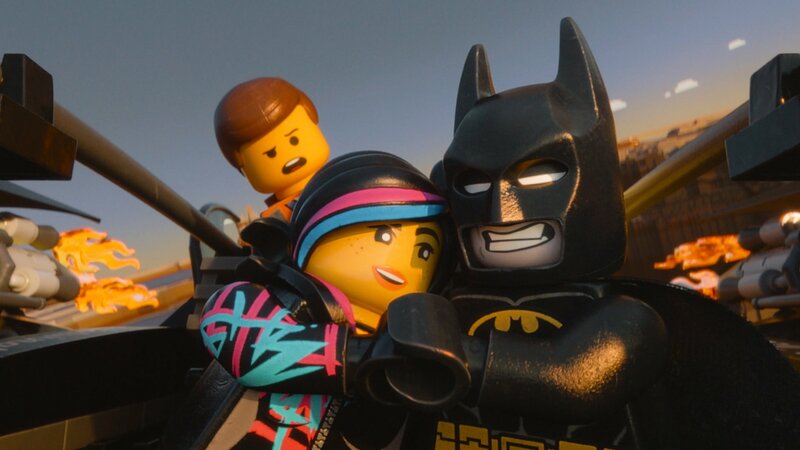 I still dislike the animation of LEGO games and animated films/TV shows; why cannot they do it like The LEGO Movie with realistic movement. Well, I don't think the appeal of this digital building is necessarily in the building itself, so much as being able to walk around in and interact with the world you've built. That's where this game's digital experience really sets itself apart — it's a "larger than life" version of the bricks which lets you become a minifigure within the LEGO worlds you build. Lots of kids (and adults) would love to be able to shrink down and enter the LEGO worlds they build (it was a recurring theme in the old LEGO Mania Magazine comics, as well as a guiding factor in the development process for themes like LEGO Friends), and this is the closest they might ever come to truly being able to experience that. Personally, I am a fan of digital building on LEGO Digital Designer, but not to the extent where I think it is a perfect reflection of physical building. Rather, I feel like the advantages and disadvantages of digital building are different from the advantages and disadvantages of physical building, and using the two in tandem lets you exploit the advantages of both, while letting the two types of building compensate for each other's disadvantages. When you build physically, a lot of energy has to go into finding the pieces you need or disassembling things to add and remove pieces from the interior structure. With digital building, you can "drag and drop" pieces even if they are built solidly into an assembly of other bricks, or even completely delete bricks you no longer need. You can even "clone" sections of a model in an instant, or "paint" models to test out different color schemes without needing to completely rebuild them. Also, with digital building, you never have to put the bricks away when you're done with them or come up with your own systems to keep your bricks organized. And of course, with digital building, your bricks are more or less unlimited — you don't have to run to the store or wait for a Bricklink order to arrive if you run out of a brick you need. Digital building is more portable than physical building (which was a blessing when I was at college and didn't have access to my complete collection of bricks), and digital building gives you the opportunity to learn and experiment with building techniques even if you don't have the requisite bricks in your collection to replicate them in real life. Physical building has plenty of advantages of its own, too. In a digital space, it's hard to test complex play features or an articulated model's posability. Inputting angles into a digital building program is also very different than adjusting them physically — usually in a digital building program, you can only hinge parts along one pivot point at a time, so you can't intuitively "line up" parts to where all the angles meet, although this does lend it the advantage that you won't accidentally knock other hinged parts out of position while adjusting another hinged part. Digital building programs don't have any way of telling you whether a model is sturdy or balanced, so unless you have physical building experience and remain mindful of how the digital bricks will translate to the physical world, it's easy to accidentally make a model that is incredibly fragile or can't support its own weight. Digital building programs don't even give you the ability to "swoosh" a model or know how it feels in your hands. All this is part of why I love digital building for planning models and physical building for completing and refining them. I'm sure digital building programs will get more realistic in the future, but I don't think they will ever be able to completely replace physical building, and certainly interacting with bricks in a digital space never reduces the joy I get from owning and interacting with them physically. Digital experiences can supplement physical LEGO building experience, but can never supplant them. Frankly, because the actual range of movement for minifigures limits their movement and expressiveness to a severe degree. Even The LEGO Movie "cheated" quite frequently with the characters' movement by doing things like popping the figures' arms out of their bodies — observe this scene which would be impossible with properly assembled minifigures. Possible in stop-motion, perhaps, but not with live physical play. And needless to say, these "cheats" can sometimes take careful camera work to conceal, something that isn't possible in video games outside of cutscenes. Imagine your character in a game crosses their arm in front their body to grab something. If you're looking at the character from the front, that's just fine, but if you're looking at them from the back, seeing the figure dislocate their arm breaks the illusion. Movies grant animators extremely precise control over characters' movements, and over what the audience can and can't see. Video games, on the other hand, do not allow this, because they have to generate movements on the fly in an unpredictable range of situations. This is why the animation in video game cutscenes is often so much more realistic and so much less glitchy than animation in actual gameplay segments. So it does not surprise me at all that the LEGO video games go for more "lifelike" movements instead of movements which would be extremely limited without the use of careful, case-by-case "cheating". That's not even getting into things like LEGO animals which have even less movement than minifigures. Imagine you want to show a LEGO parrot flying, for instance — if you were limited to the movements of the physical bricks, this would look RIDICULOUS, because the LEGO parrot's wings are permanently folded against its body! Only by giving the parrot "lifelike" animation is it possible for it to be anything more than a static figurine. And really, a lot of the magic of LEGO video games is the idea of bringing these familiar toy characters to life. It's less about realism than imagination — in real life, there are a lot of things you have to IMAGINE the figures being able to do, but a lot of the appeal of the video games comes from turning that kind of imaginative play into a visible reality. I guess you never played the first Lego Island. All the animals used the basic moulds with no movement. Parrots just bobbed through the air with their wings closed. Dogs and cats bounced along the road, fixed in their positions. The Lego people were also stuck with 'realistic movement', and, while it had a certain charm, I guess, it was awkward and doesn't need to be revisited IMO. I love the way the Tt characters move. It's often very charismatic or funny. I bought this yesterday and it was the first time I had even heard of it! Downloading now! So far my kids and I are enjoying it. We've each claimed an island and are building ridiculous stuff. 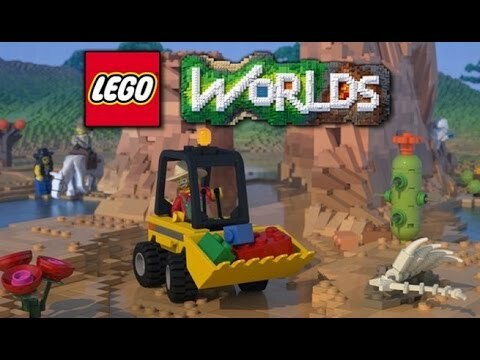 Is this anything like Lego Universe, which I missed completely but people seem to really miss? It's got some nice features, which can be considered an improvement on the LU property features, but comparing this to LU is comparing apples to The Big Apple - they are two totally different concepts, ideas, and executions. LU was an exiting adventure across dozens of planet chunks, with four factions acting together(and occasionally stealth-fighting each other) to defeat an unstoppable, destructive Maelstrom, whereas LW is Minecraft without having to worry about survival. Am I understanding right that they are being morons and making this available only on Windows like they did with Minifigures Online? It's Windows-only for now (while it's in "early access" stage). There are plans to bring it to other platforms like consoles or Mac once it's more finalized and the LEGO Group has had a better opportunity to really gauge demand. Okay. It didn't sound like they had any plans to expand on it. With Minifigures Online, when you try to play on an iPad, it tells you that they don't have the iPad version ready; and they had announced an iPad version right from the start. I only saw a few videos of Lego worlds, but it seems to lack the madness of lego island, each time you ran into a character, they were saying or doing something silly. I remember you could totally mess them up by growing flowers or putting cats on their heads. On lego worlds I haven't seen an exemple of NPCs doing anything but wandering randomly yet. @Fauch You can't. I've tried. 30% off on Steam at the moment (5 more hours). Found out how to do a few things, and found a few interesting things just from wandering around, but not sure how long it can hold my attention without some major updates. ^I have this same issue with any sandbox game. Played about 5 hrs of Space Engineers with my brother when it was free on Steam and basically exhausted the possibilities (and felt like I'd wasted the day...). Got it yesterday, Created a steam account especially, Played for I don't know maybe an hour, Apparently discovered some Lego builds, Punched a couple of skeletons, Understood sweet bugger all. *not really but it would be cool right?